This friendly deer wandered into someone's yard and decided to introduce himself -- and maybe got a little too friendly. 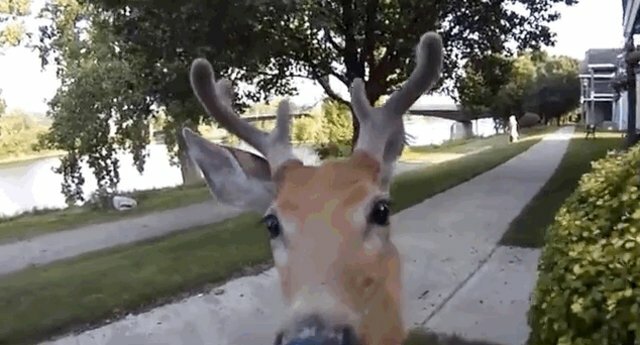 According to the camera-owner, this horned fellow wandered into his yard in upstate New York from a state park nearby, and seemed pretty curious about the videographer's camera. Thinking the camera was perhaps a tasty bite, the deer decided to give it a tiny taste test, just to see. Sorry, deer! No food to be found here! Feeling a bit sheepish about making such an error, the deer wandered back to his home in the park.